Avoid Commissions & Fees When Selling Your House To Pennylane Properties. There Is No Risk Or Hassle, Get Your Fair Cash Offer Today! Are You Saying, “I Really Need To Sell My House!”??? We Buy Houses In Atlanta, Chattanooga, Savannah, Athens, and Cobb County (And In The Surrounding Areas) — We Pay A Fair Price On The Day That You Choose! If you want to sell your TN or GA house then we would like to pay you a fair price for your home and help you skip the expensive and time-consuming headaches and hassles of selling your house the traditional way. Sell your home for cash, and end the hassles of owning that property. 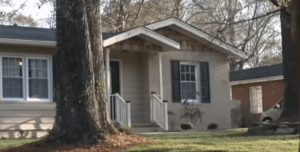 Let AtlantaHouseBuyer, Inc purchase your GA house from you right now — we’ll even buy your house as-is! As a homeowner, you may have a property you no longer need or want — whether it’s your primary residence or a second property. Regardless of the reason or the condition, if you’re saying, “I need to sell my house and want a fair price and no hassle” then we can help. Dealing with problem tenants? Facing divorce? Moving? Avoiding foreclosure? Inherited a property you can’t afford to keep? We don’t care whether you live in the house right now or if you live in a different state and haven’t seen the property in months; we don’t care if you rent the property or if it’s vacant… we don’t even care what condition it’s in. At AtlantaHouseBuyer, Inc, we specialize in helping homeowners just like you who own a property (your current home or a second property) who no longer want to own the property or are unable to afford to maintain it. Basically, if you have a property and need to sell it… Pennylane Properties can help. Our commitment to you is: We pay a fair price on the day that you choose. That’s why customers love working with us. Selling Your Area House With An Agent vs.
“A lot of the time sellers are surprised at the amount that I can pay…” CEO – John Barbee. We purchased this home in Atlanta for a fair price. Fill out the form to get your fair offer too! Here’s the good news: we are not agents and we won’t list your home. We are buyers with the money to buy your house right now. We work differently at Pennylane Properties, and our clients love this difference. Here’s how it works: simply let us know that you are interested in getting an offer from us (there’s no obligation and no “high pressure” — you’re in complete control). In fact, you might be very surprised at the price we can pay for your house: that’s because we’re not like other companies who claim “we buy Atlanta houses”. Many of those companies will give you a quote over the phone without seeing your house or learning about it. But we believe that every house situation is different and we need to learn more about your house so we’d prefer to sit with you and listen to you. This results in offers that are often higher than those other companies that make blind offers. “… selling to you was easy compared to what we would’ve needed to do to fix up the place and put it on the market. We’d Love To Make You A Fair Offer, You’ll Likely Be Pleasantly Surprised At The Price, And The Experience! At AtlantaHouseBuyer, Inc, we specialize in helping homeowners exactly like you, in all kinds of real estate situations. Whether you’re facing divorce, foreclosure, death of a family member, frustrating tenants who don’t pay or are trashing your property, and all kinds of other situations. If you’re thinking, “I need to sell my house in Atlanta” then we can help. (Also, not only do we buy houses in Atlanta, we buy houses in the surrounding as well). Here’s the bottom line: If you no longer want to put up with the frustration, hassle, and expense of owning that unwanted house any longer, and if you want to skip the time and cost of selling your house the traditional way, then simply reach out to us about your house… sell your house for cash. We buy houses Intown Atlanta, Metro Atlanta, Kirkwood, Edgewood, Decatur, Oakhurst, Tucker, Lakeside High School District, City of Decatur, Unincorporated Dekalb County, East Lake, East Atlanta, Ormewood Park, Chamblee, Dunwoody, Doraville, Oak G, Chattanooga TN, Cobb County, Savannah, Athens, and more.